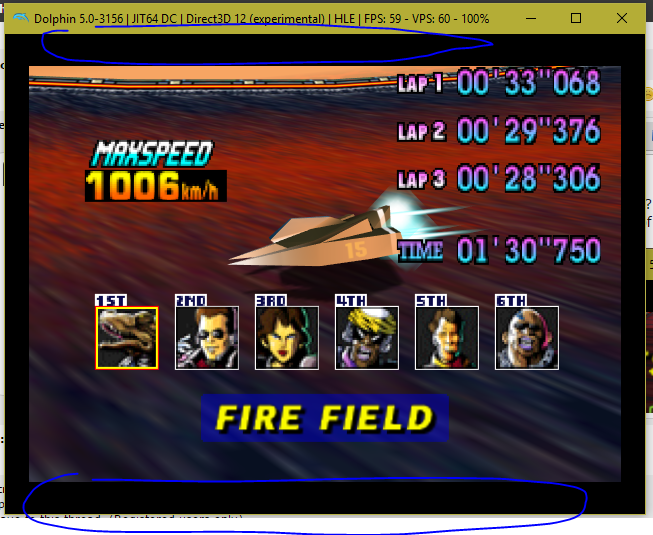 Is possible to remove this top and bottom borders on F-zero X? Already tried almost every option and in fullscreen I lose a lot of screen area. Did you try the crop function on the advanced graphics tab? I already changed that option but at the time it made no difference. Maybe because I was experimenting with several things at the same time. But now it helped slightly. In full screen the border in smaller.